If you are planning on hiring a company to perform a roof replacement at your Baltimore area home, then doesn’t it make sense to choose an expert contractor with a long track record of success and customer satisfaction? Of course it does! It will make you feel confident about who you are hiring so you can set your mind at ease. Luckily, there is a company that can absolutely provide you with the peace of mind you’ve been looking for – Roland Slate Service Company. While other companies have come and gone, we have served customers in the area for over 25 years, and we have the knowledge and experience to get the job done right. No matter which style or roofing material you choose, you can be sure that your entire roof replacement will be covered by a comprehensive warranty. Not only are our products warrantied by the manufacturer, but we also stand by the talent and experience of our roofing technicians with a labor warranty, to boot. 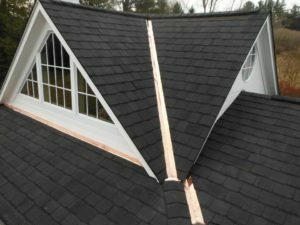 To learn more about the roof replacement options we have available to you, contact Roland Slate Service today. We are proud to serve homeowners and businesses throughout the Baltimore area.